Shredded spicy chicken, for the perfect sandwich. I haven’t cooked with a lot of spices or herbs in the past. I guess growing up in rural Wisconsin, where meat and potatoes were the staples we didn’t use herbs and spices too much. But in the past few years, I have started experimenting with some herbs and spices that were new to me. One of the spices that I have been using of late is cumin. I love to pair the cumin with garlic, it gives a little bite to whatever you are cooking. I like to use cumin in chili and in different soups. But the latest tasty recipe that I have used cumin in is shredded spicy chicken. 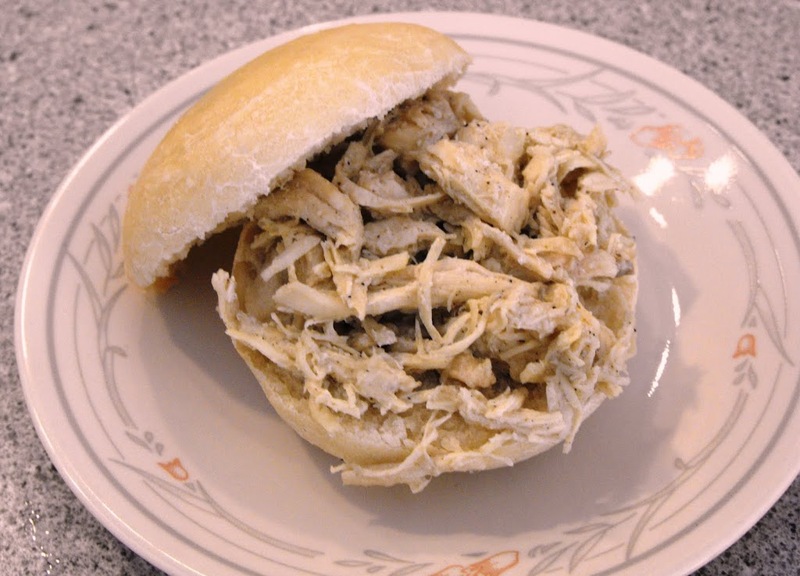 I used the shredded chicken as a sandwich, but I think that it would go great in a pita or soft tortilla. Green peppers and onions can be sautéed and used to top this sandwich for even more flavor and color. Shred 3 large cooked chicken breast (about 4 cups). Add minced garlic, onion, cumin, black pepper, and salt to taste. Mix these ingredients until blended. (Taste to see if the seasoning is to your liking) Stir in the low sodium chicken broth and cook in a 325 degree oven for 1/2 hour to 1 hour. Meat will be tender and flavorful. Enjoy! !